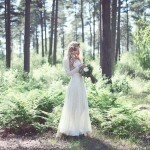 Hello again lovely brides and wedding maestros! 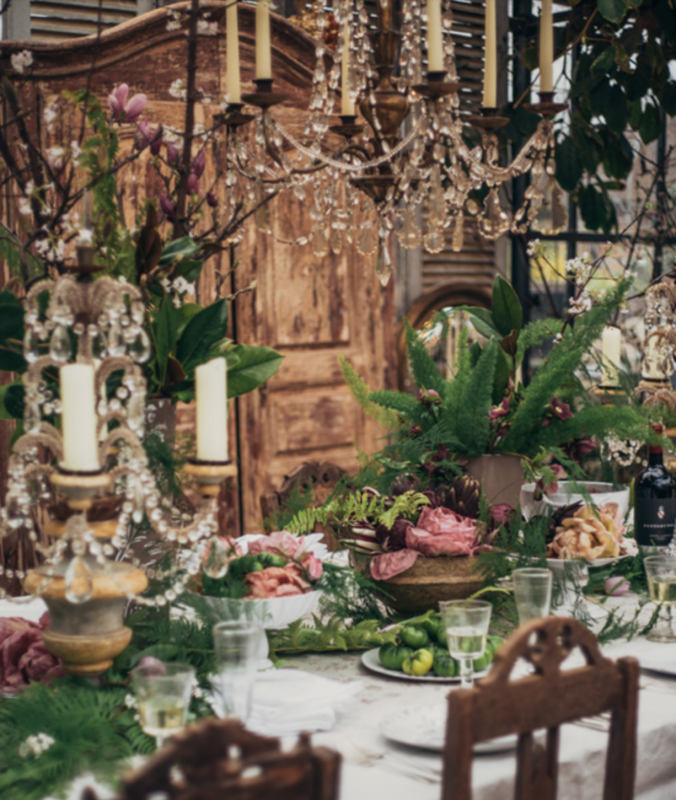 In our last blog post, we were talking Decor Trends Ruling the 2018 Wedding Season and it was impossible not to mention the craze for ‘wow’ factor wedding venues. 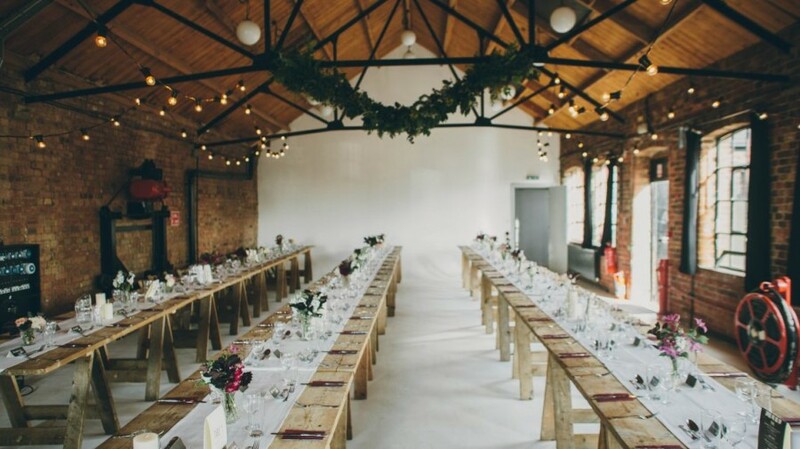 In particular, couples are going crazy for the more raw, blank-canvas venues that really allow them to create a distinctively stylish occasion, yet still retaining that understated feel. 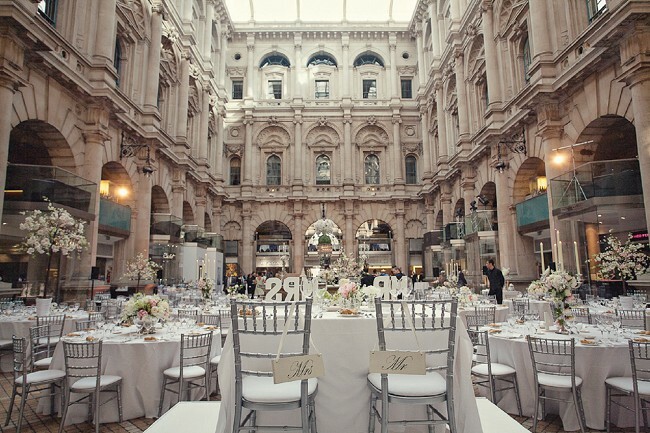 So today we will be talking about some of those unique event spaces and in particular London wedding venues. 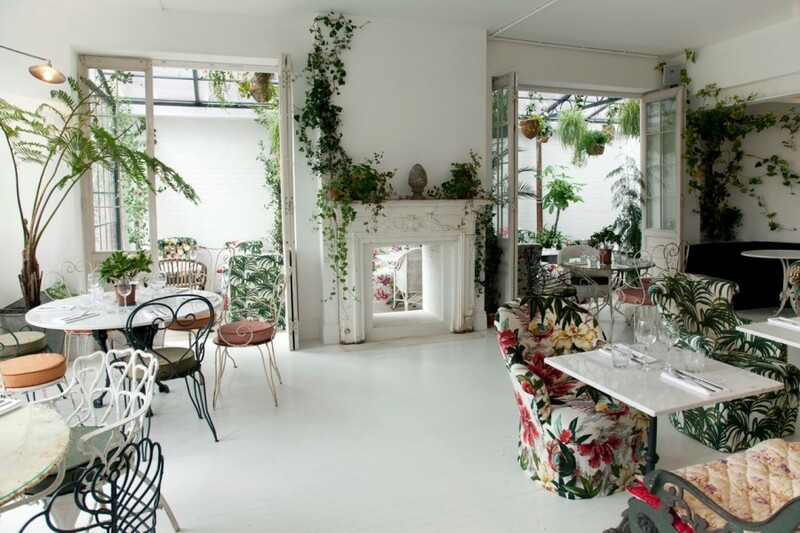 From botanical oasis to edgy warehouses and trendy boutique hotels, I have selected some of my favourites aimed at you city slickers out there who are hoping to tie the knot in the capital. 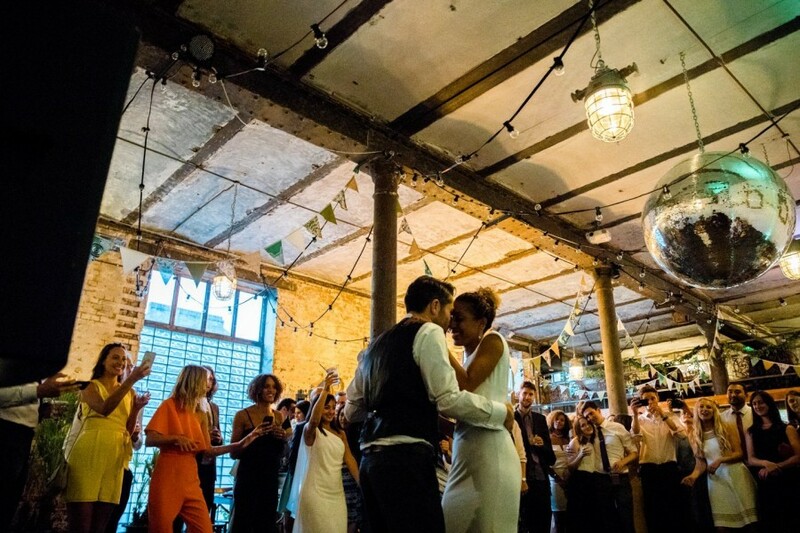 Particularly in the east end of London, there is such a great selection of industrial, warehouse type venues and studio spaces that you can hire for a wedding. These will usually be completely blank canvas spaces and so allow you to really make them your own. 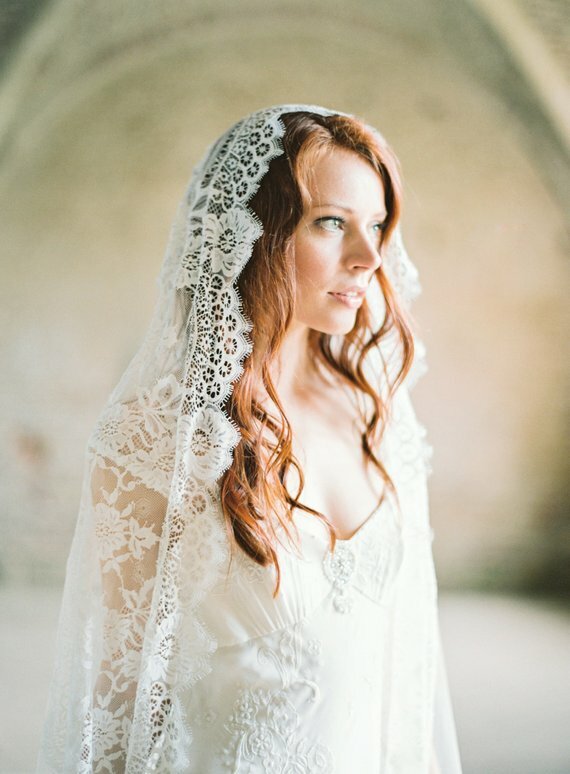 This category was a tricky one as there are so many to choose from and will all appeal to slightly different budgets and locations, but here are some of my favourites. 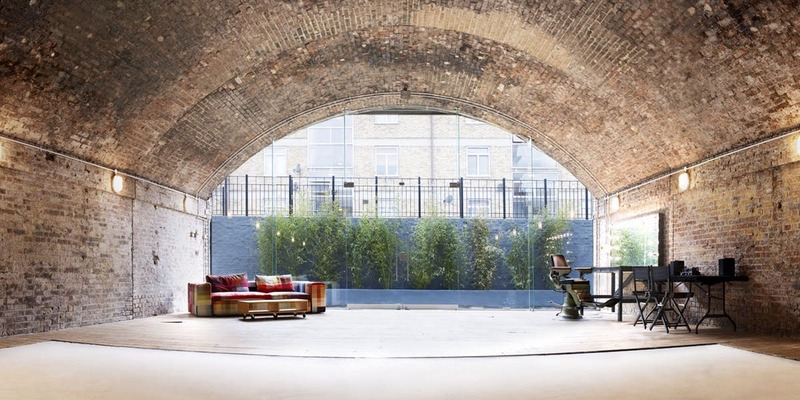 The JJ Media Group has two awesome locations in London’s vibrant creative hub, Shoreditch. 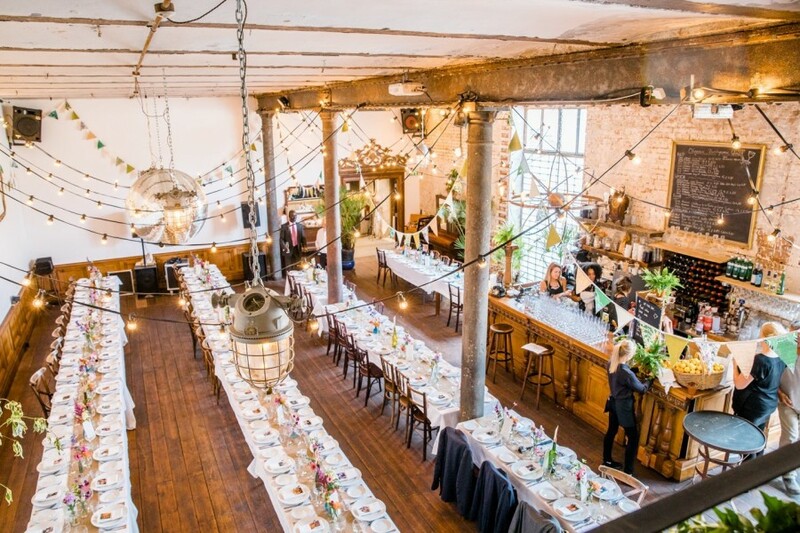 Both Wimborne House and Perseverance Works have a selection of extremely versatile event spaces, each with an abundance and light, character and unique features. My two personal favourites are JJ Loft and JJ Apex. 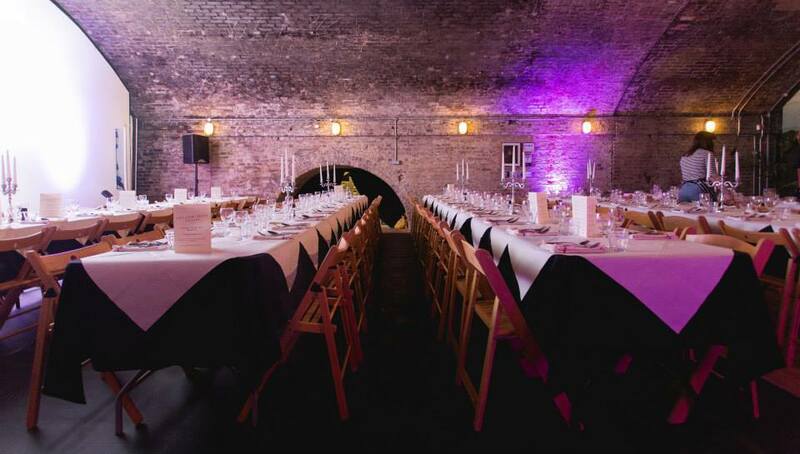 This is a super cool space located under Victorian Railway arches of exposed brick walls so has a very industrial feel yet it still feels modern and slick. 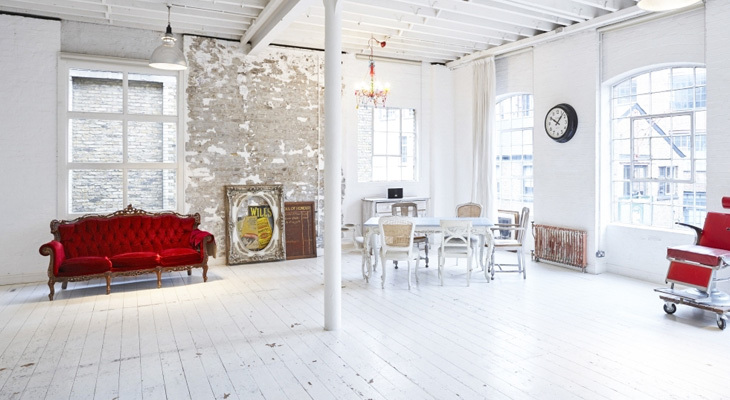 Located in a refurbished Victorian Warehouse in Kensal Green so a great option if you are looking to for something in the West. There are five inter-linking spaces and two large secluded courtyards. 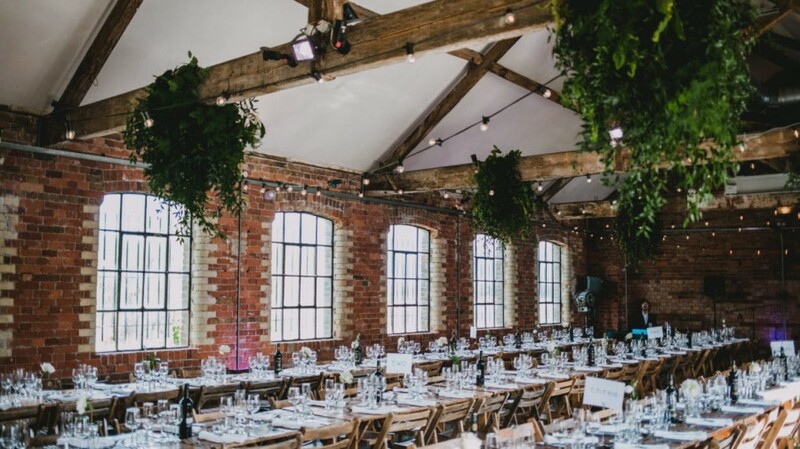 The combination of exposed brickwork, oak flooring, high vaulted ceilings and abundant daylight make this industrious warehouse space perfect for a wedding celebration. 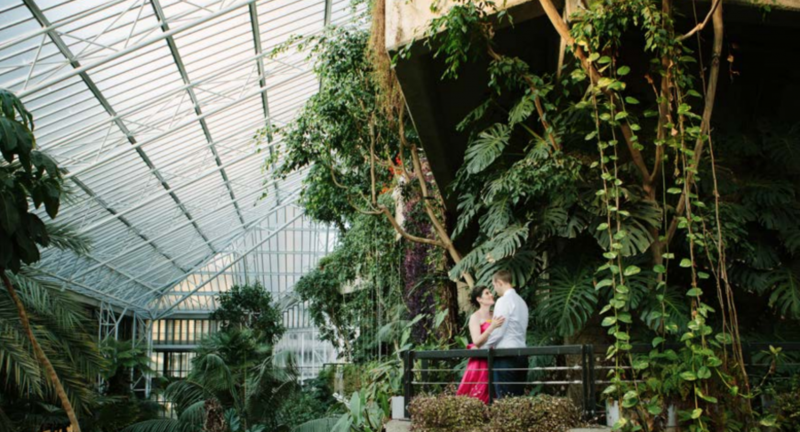 For those of you wanting to get married in the city but not be surrounded by concrete and sirens, each of these places is their own little botanical oasis. All with an eclectic feel, filled with plants and surrounded by nature, you really get the feel of a hideaway that is fresh and vibrant. 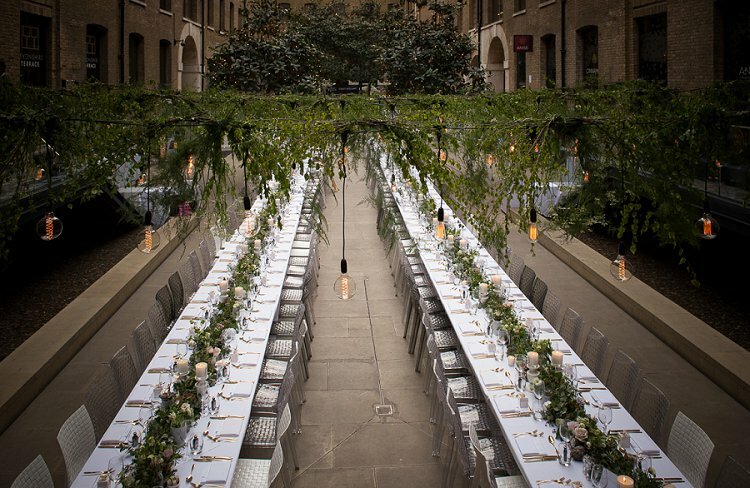 This a restaurant and bar based in Clerkenwell and with the option for exclusive use hire I think a real gem for a romantic city wedding. 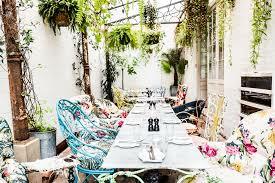 It is described as easy elegance and having an oasis of informal charm. 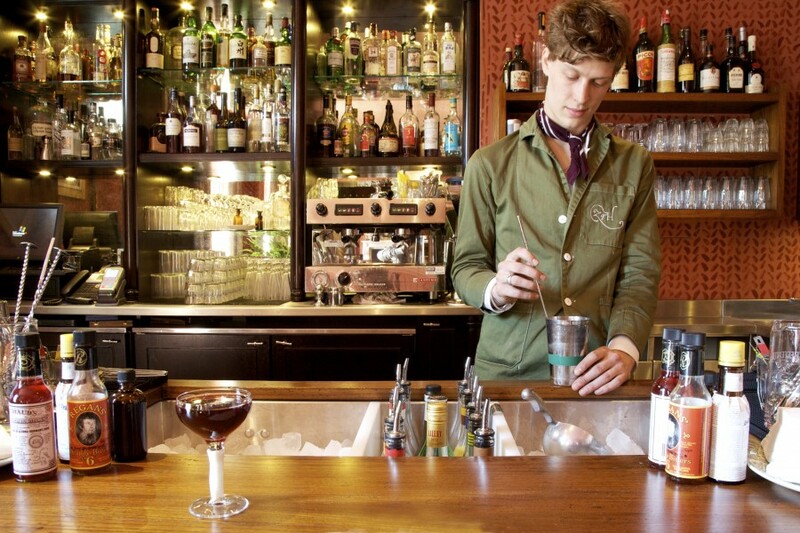 Featuring a restaurant, greenhouse, cocktail bar, and late-night underground drinking den there are plenty of ways that you can use these amazing spaces. 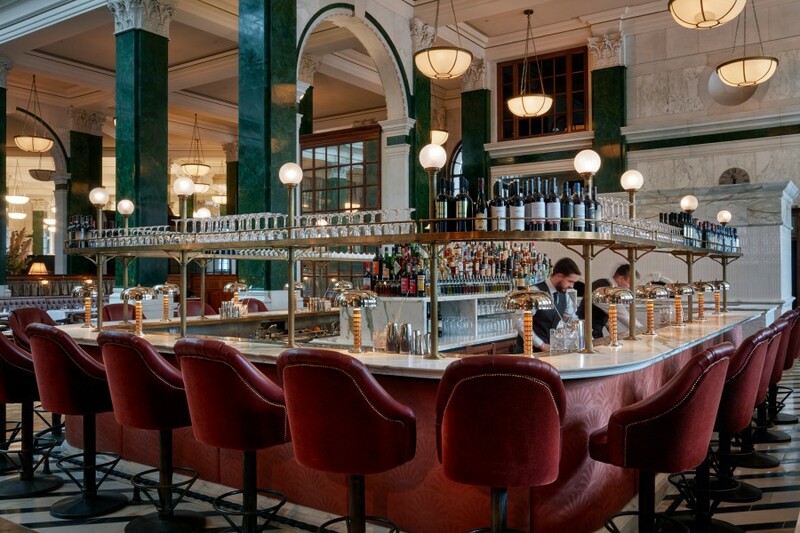 Described by the Queen as “one of the modern wonders of the world” and the beating heart of the city, this definitely ticks the box for unusual and quirky. 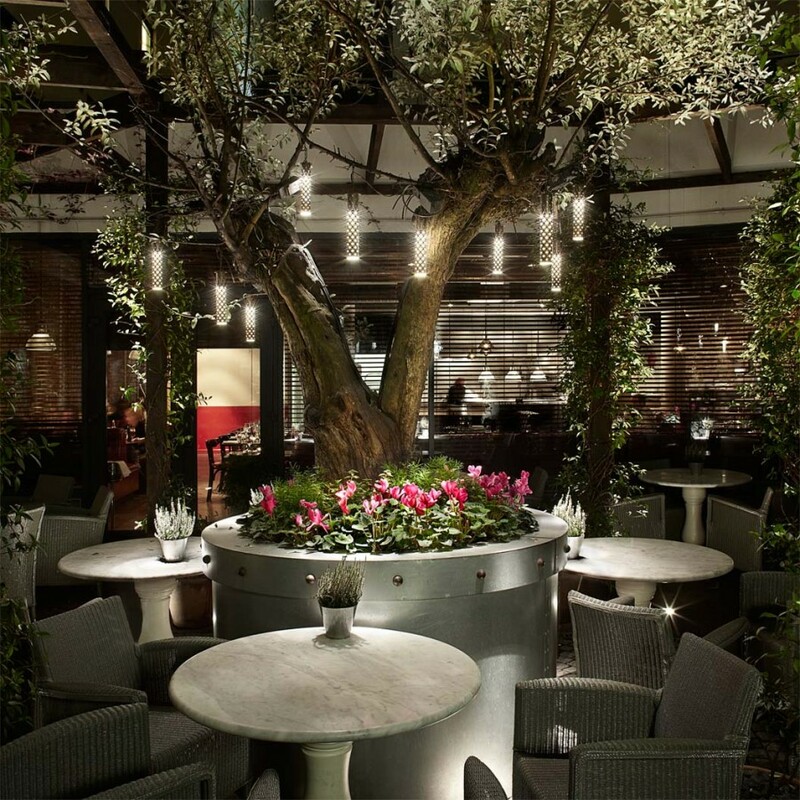 If you have got big numbers and dream of finding the perfect combination of urban London and a lush botanical oasis, this might just be the perfect spot for you. 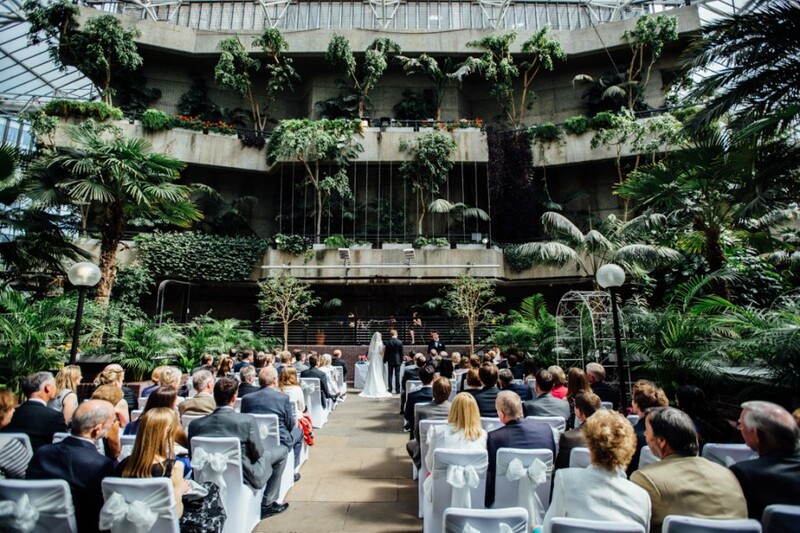 You can host your ceremony in the Conservatory followed by a seated wedding breakfast in the Garden room for up to 250 people. 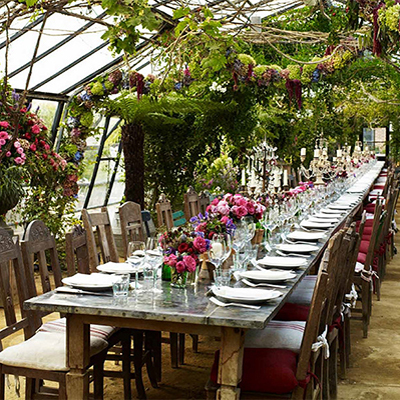 A tranquil sanctuary, an oasis that never fails to captivate and enchant, Petersham Nurseries is available for exclusive use hire for up to 140 guests in the daytime or evening. 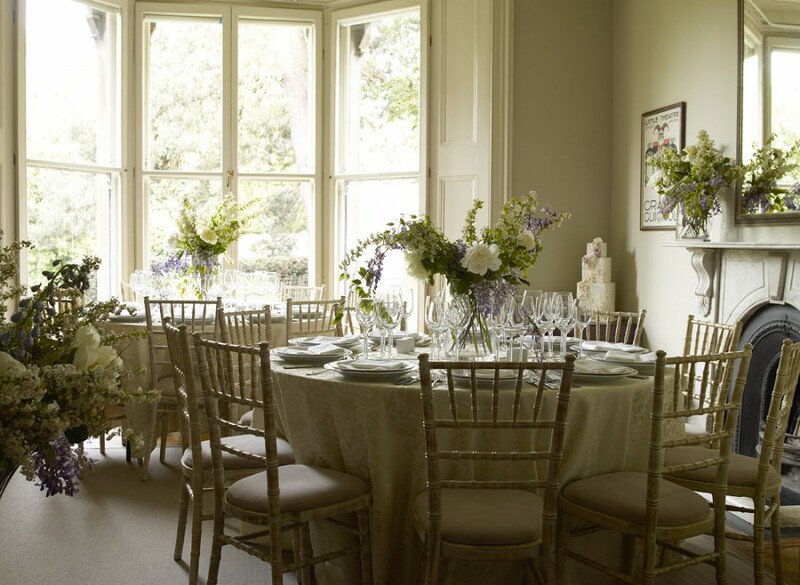 Or if you are planning a more intimate occasion, the private glasshouse offers a tranquil and elegant setting for up to 45 people. 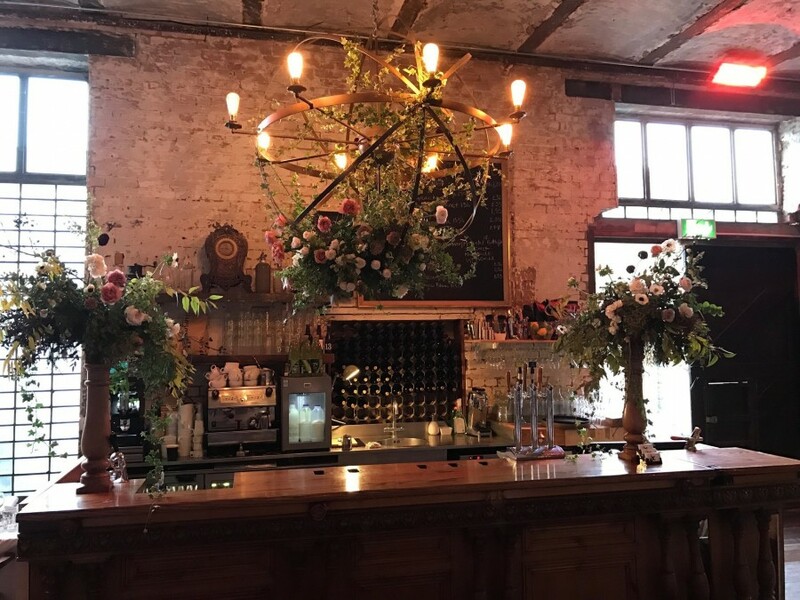 As well as a bespoke menu created by an executive chef, Petersham is also setup to provide floristry for your event and a wedding list service. 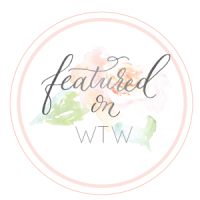 For those where style is of utmost importance but also seeking that boutique feel and creating an experience that is unique and fashion-forward. 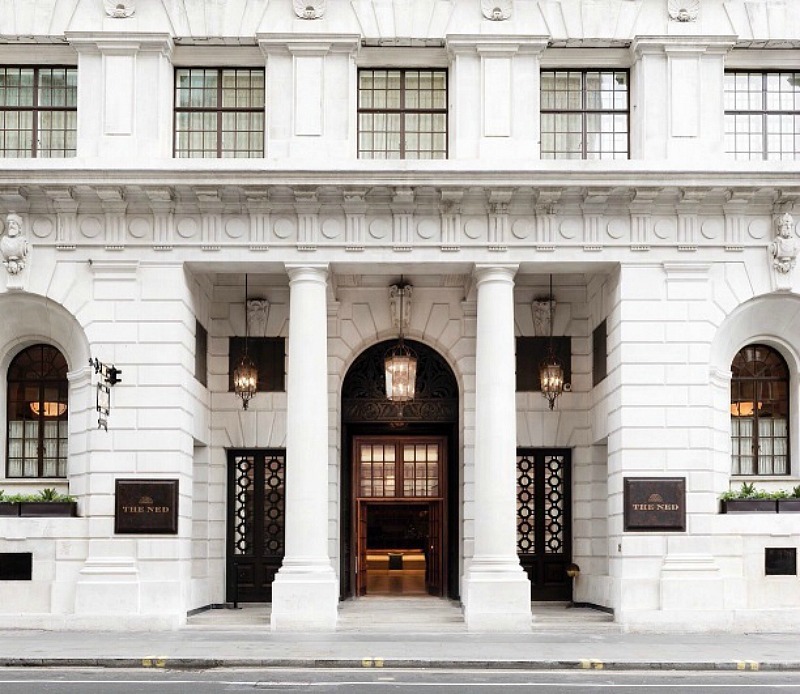 With two unique hotels at either end of London (Marylebone and Clerkenwell), both with bags of personality, this is the perfect choice for those who like to do things a bit differently. 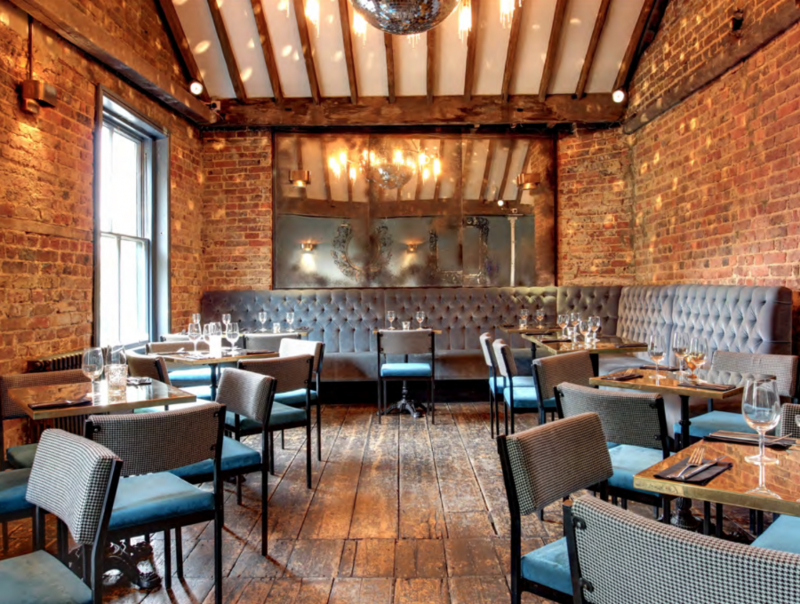 Both locations are available for exclusive use hire, however, would be better suited to smaller, more intimate wedding celebration, seating up to 30 for dinner. Large numbers are possible but for a standing cocktail reception only. Guests can then make themselves feel at home in one of the luxurious and eclectic bedroom suites. 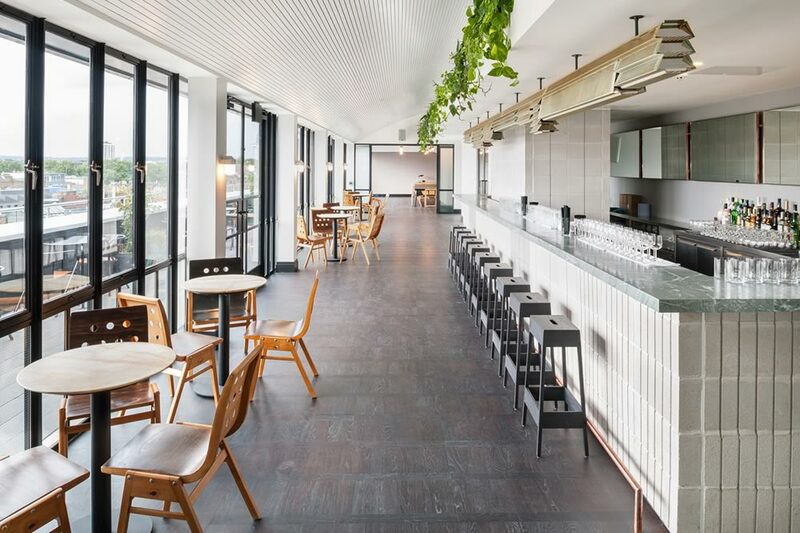 Situated right in the hub of the city’s most creative and engaged district, the rooftop at the Ace Hotel London is huge and lends itself to all sorts of occasions. The seventh floor is home to the 101 room, bar and terrace, all with panoramic views of the city. 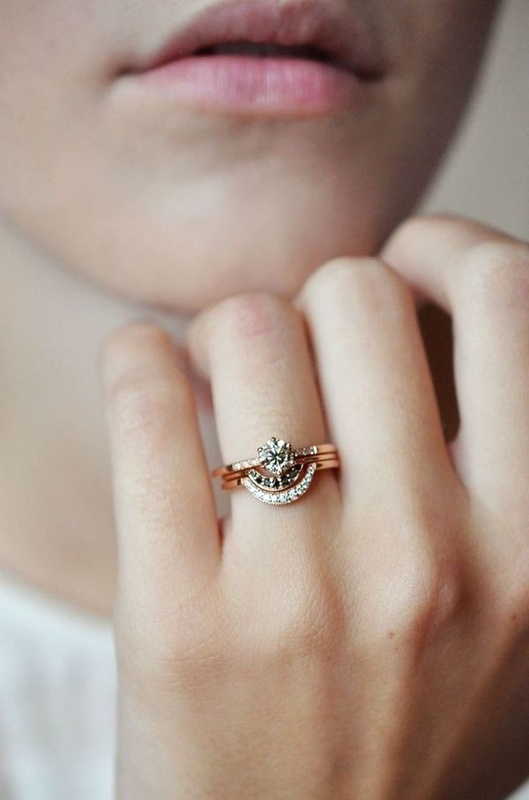 They’ve also got a couple of amazing resources right on site: Hoi Polloi — the modern English brassiere — and That Flower Shop, a floral and botanical design studio run by Hattie Fox. 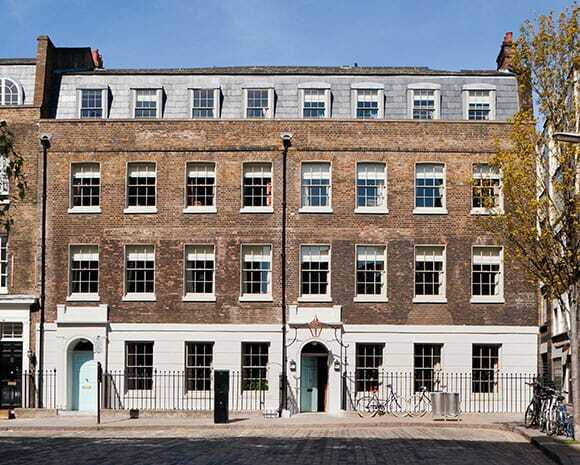 The Dolls House is an impressive three-storey Victorian townhouse located in Islington. 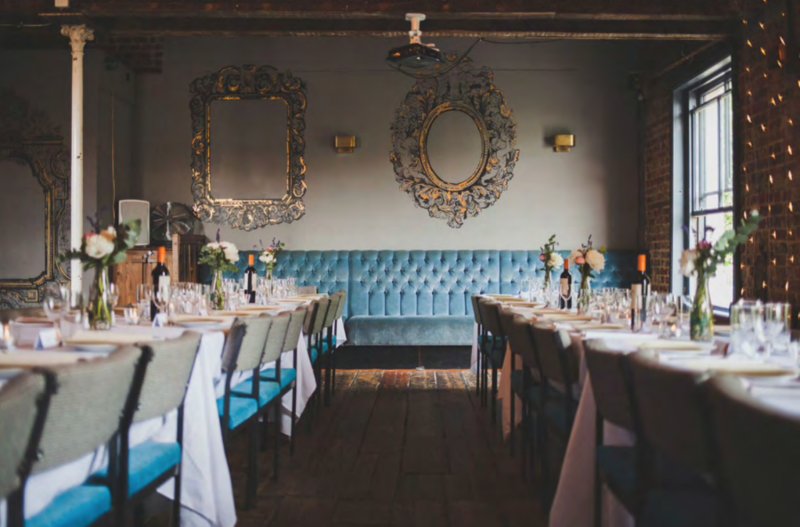 Whether your day calls for simplistic elegance or rock & roll decadence the house makes a spectacular setting for any sized wedding reception. 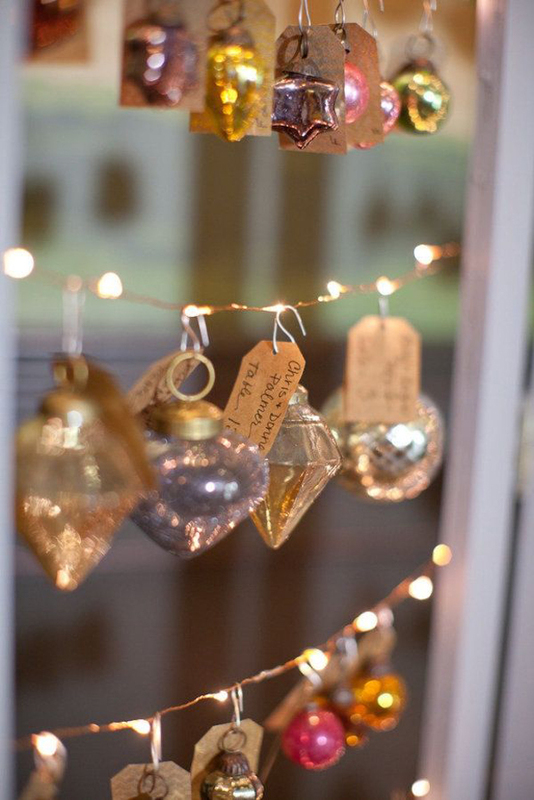 Individual room hire is available for intimate drinks receptions and dining. 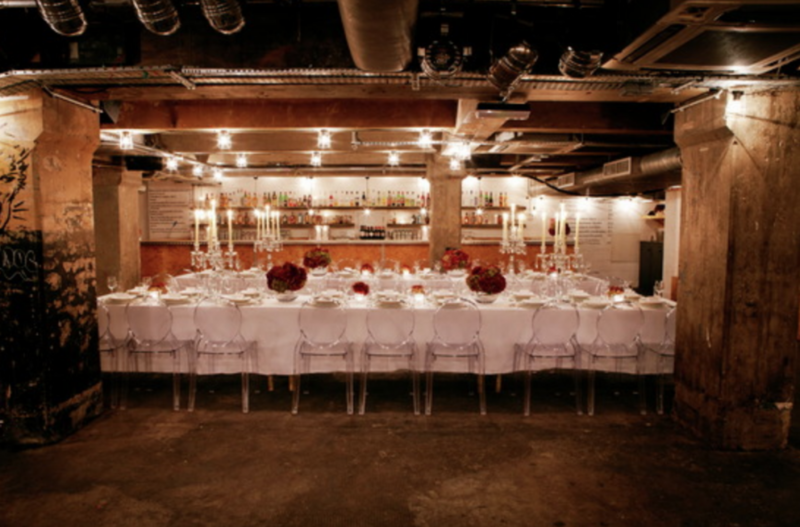 For larger parties, floors can be hired separately, or for whole venue hire, they are delighted to host up to 250 guests. 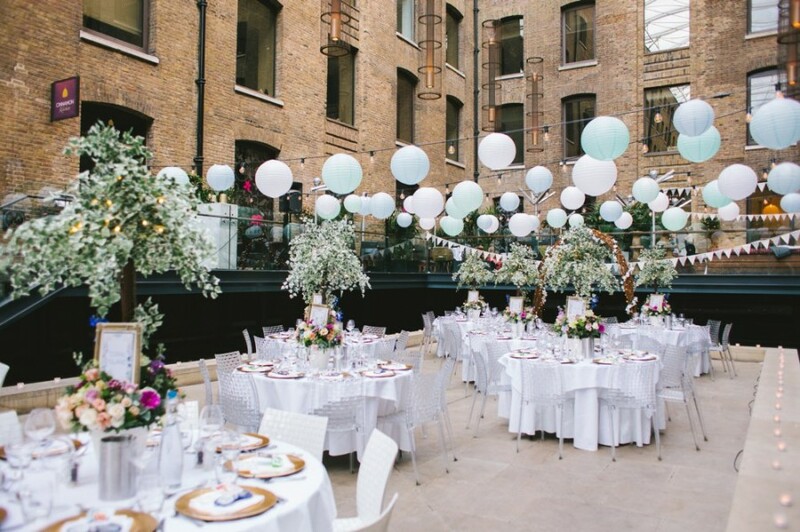 If you are looking to create that ‘at-home-wedding’ feel but don’t have the space to accommodate a big celebration under your own roof, then why not consider taking over a private house in the city. 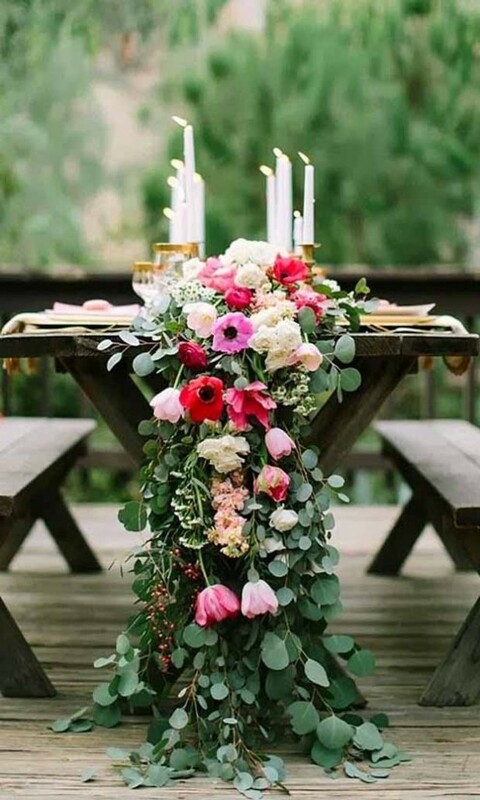 Although it may not be at your home, it is a wedding at home. 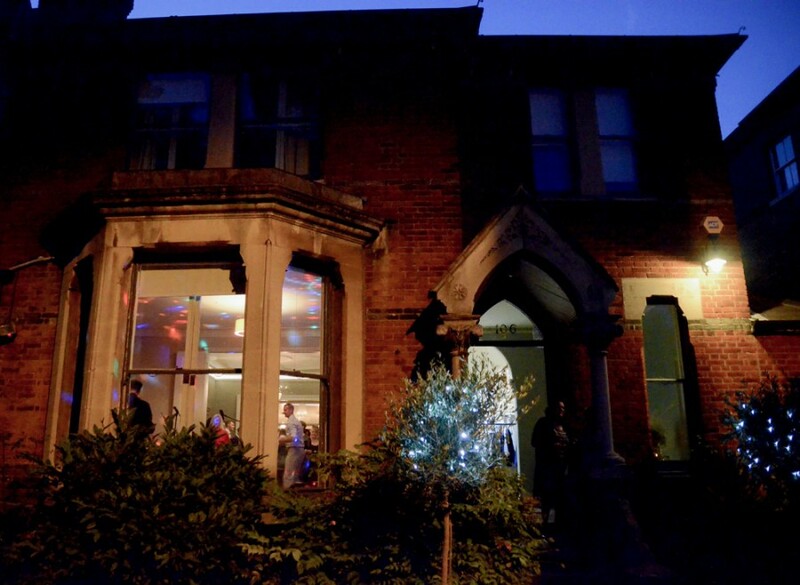 This is a unique Victorian private house and the perfect setting for more intimate gatherings. 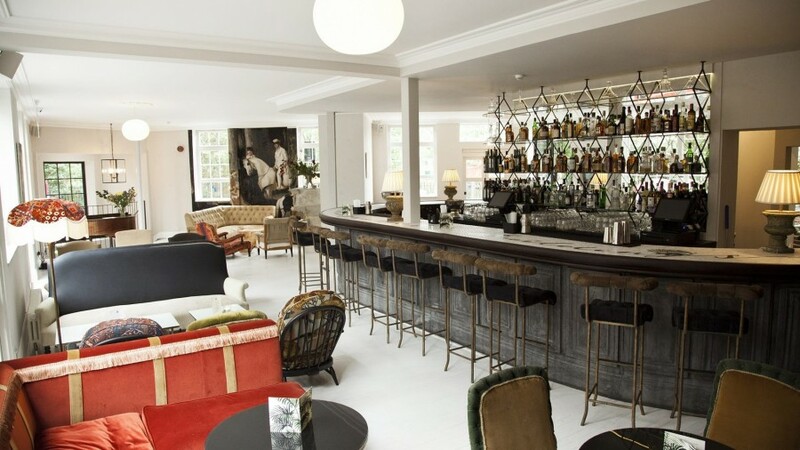 The house comfortably seats 65 and is in its element with 100 for cocktails and dancing. For larger numbers, there is also the option of putting a marquee in the garden. 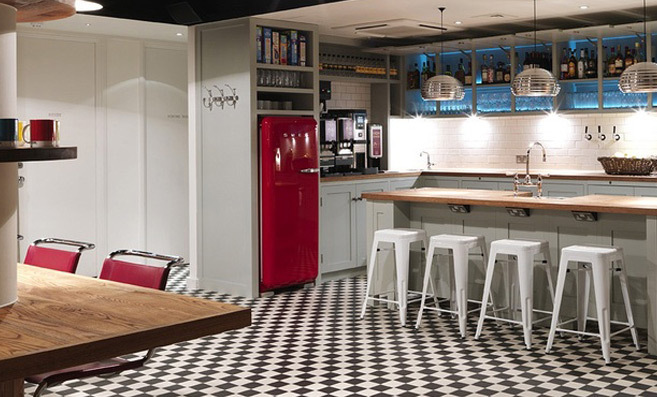 The whole space is completely yours for the weekend and you can tailor it to create the day that you have dreamed of. 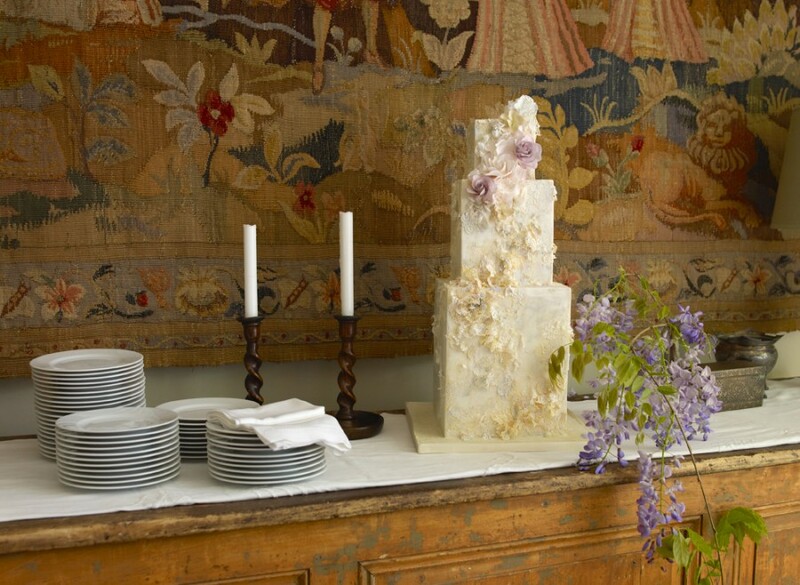 Clissold House is a stunning 18th century Grade II* listed mansion house offering expertly restored architecture, beautiful interiors and a stunning outdoor terrace. 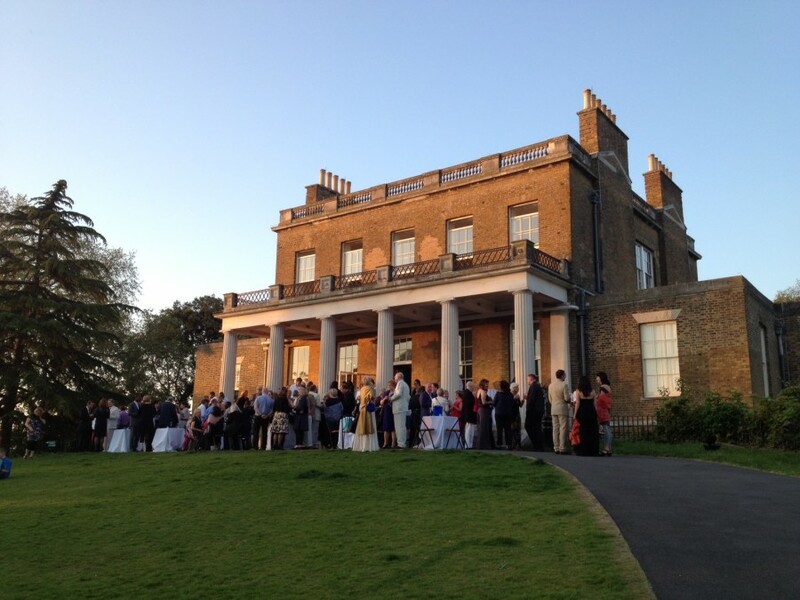 It is set in the tranquil surrounds of Clissold Park and is available for a range of weddings and private events. The house offers an abundance of flexible spaces over two floors including two main rooms on the first floor with outdoor terrace. 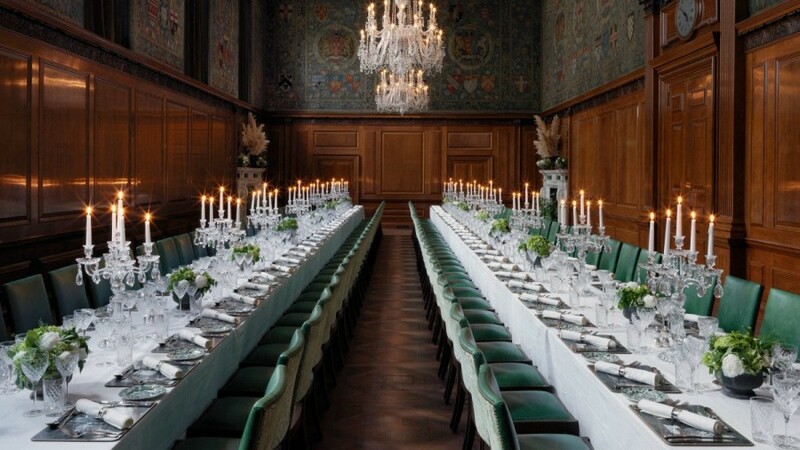 There is space for a ceremony followed by a seated dinner or standing reception. 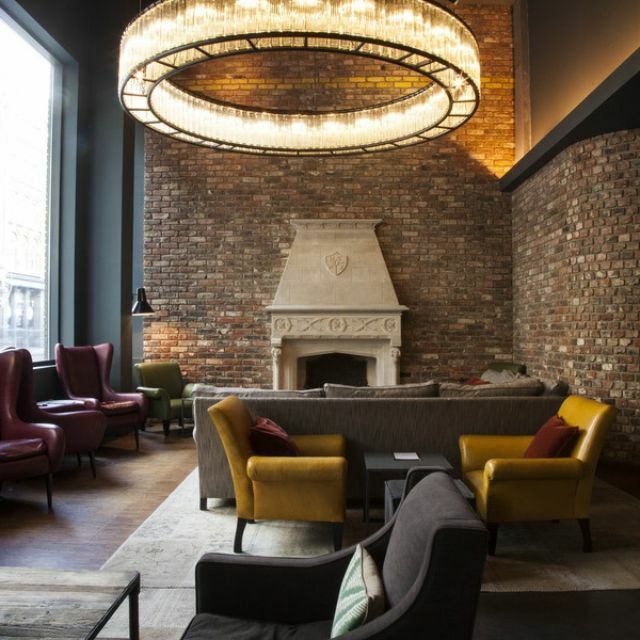 If you’re looking for an exclusive private hire home but want something a little more ‘hip’, think Manhattan loft, and open-plan entertainment space, then the Hoxton Grill Apartment in the heart of East London might be just the place. 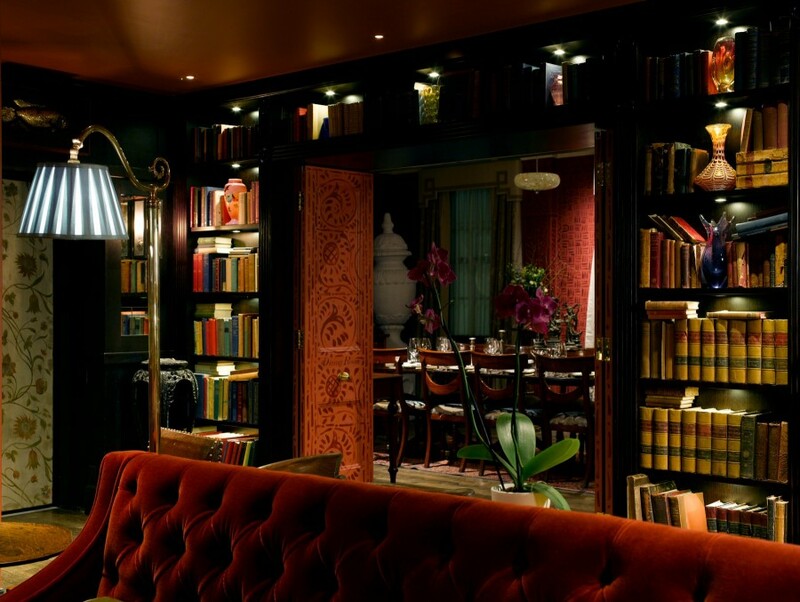 It comprises a Library, Living Room, a Red Study and a Black Study, as well as a Dining Room and a Playroom. 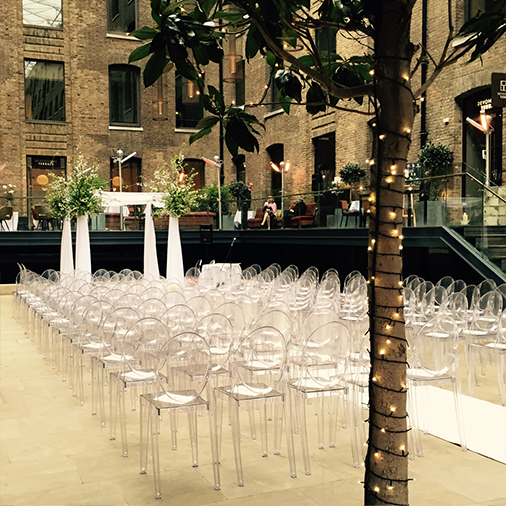 These modern spaces are available individually or in combination, making it the perfect blank canvas for a wedding of any size. 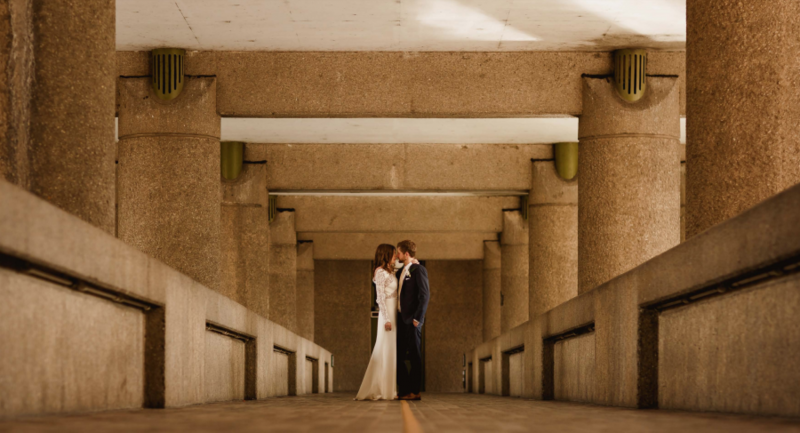 One of the city’s best-kept secrets and a truly unique venue for your wedding ceremony and/or reception. 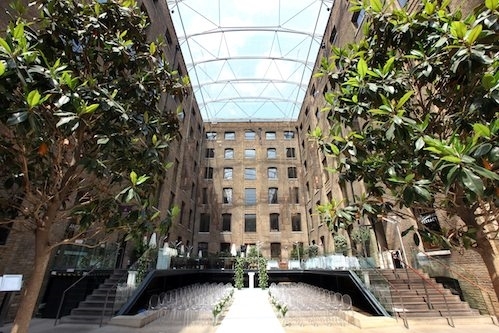 The glass roof high over the western courtyard makes this an all-weather location and creates a magical and modern setting. 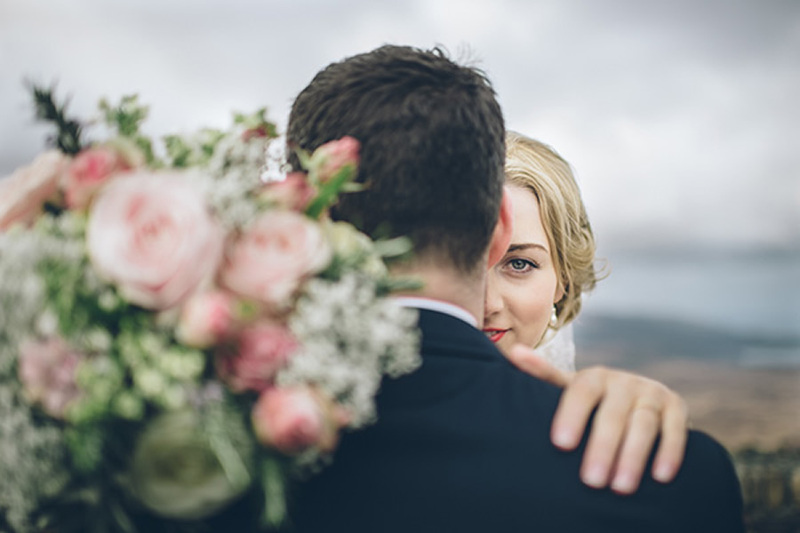 They have a selection of packages available including food, drink and exclusive use for up to 12 hours, all of which can be tailored exactly towards your dream wedding. 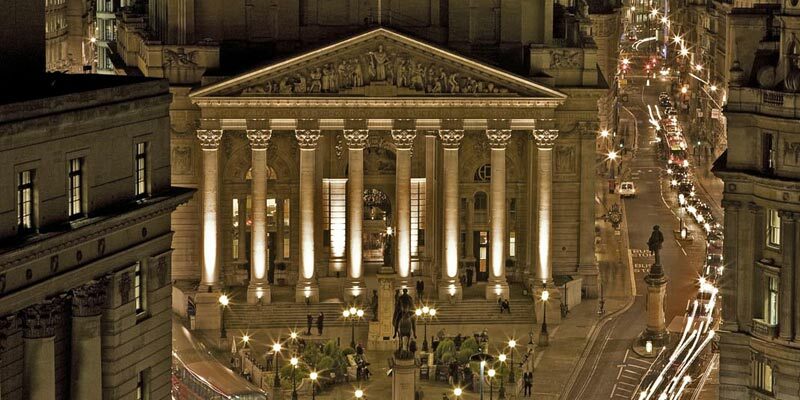 The Royal Exchange near Bank in the City is the ideal venue if you are looking for a unique and creative space that steps outside the usual function room. 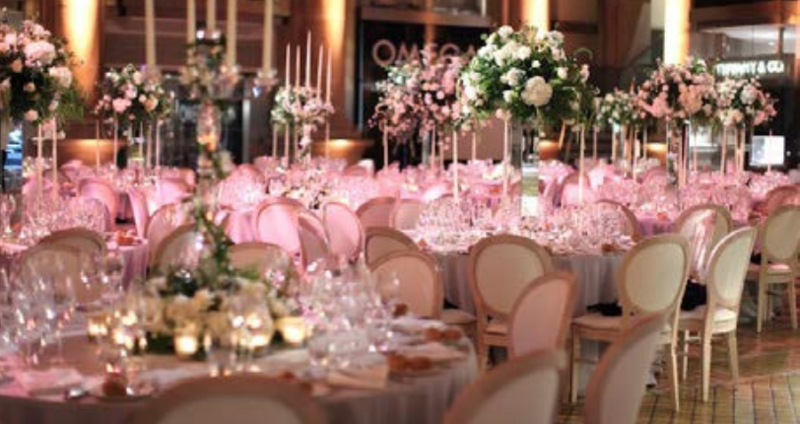 For the super luxe and those looking to put on a prestigious event, this versatile space creates a dramatic and romantic backdrop for your special day. 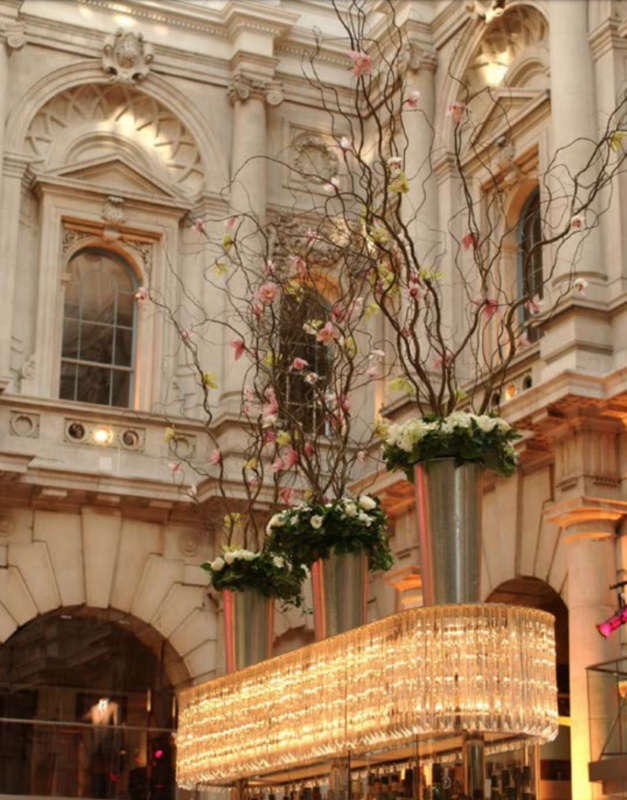 Exclusive hire encompasses a ceremony for up to 240 guests, a dining space for up to 300 guests with a dance floor, a separate canapé reception area, a lounge space and the wedding suite. 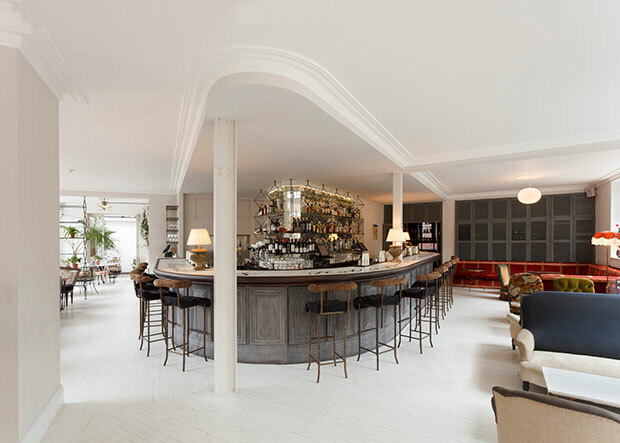 This historic building has been recently reborn and restored by the design teams from Soho House & Co and Sydell Group. 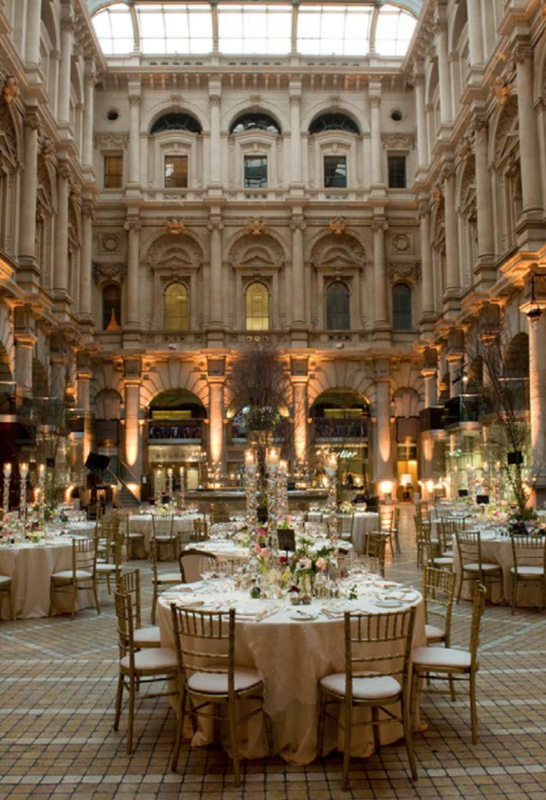 Located in the heart of the city, it offers access to six Grade I-listed rooms, two terraces and Princes Dome. 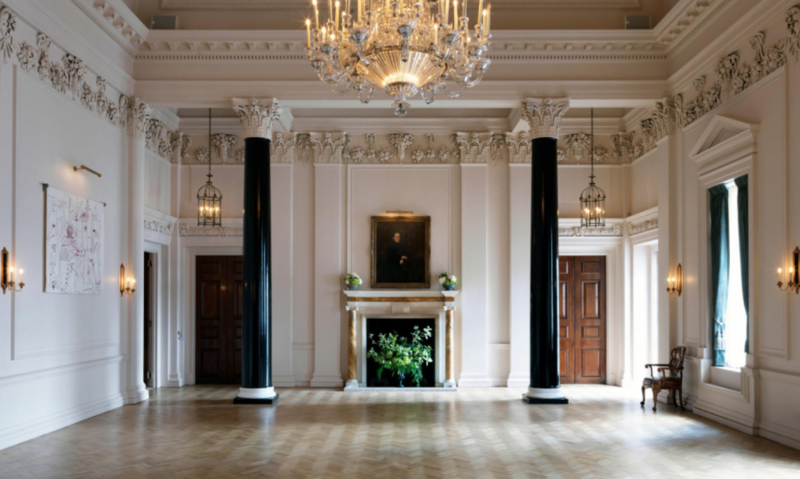 For the height in luxury each one of their event spaces boasts period features including walnut panelling and vintage chandeliers, as well as ample domed windows to allow for plenty of natural light. 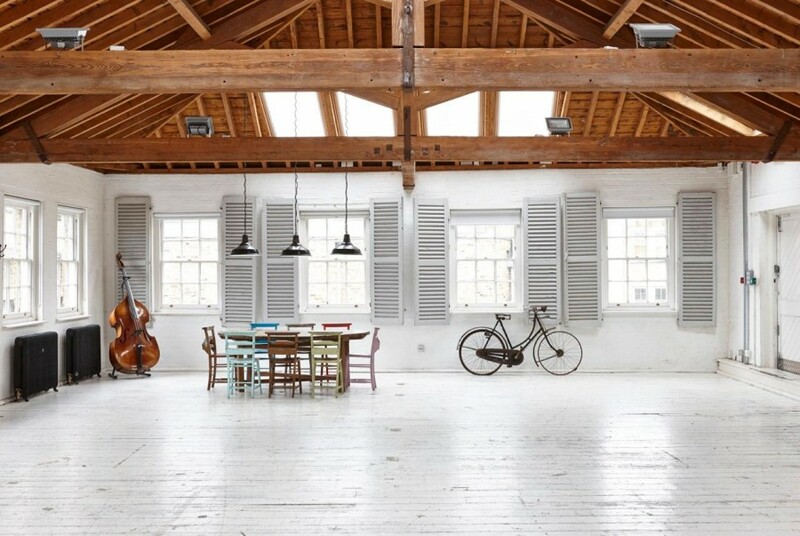 Located in Hackney Wick, this converted warehouse is eclectic and industrial. 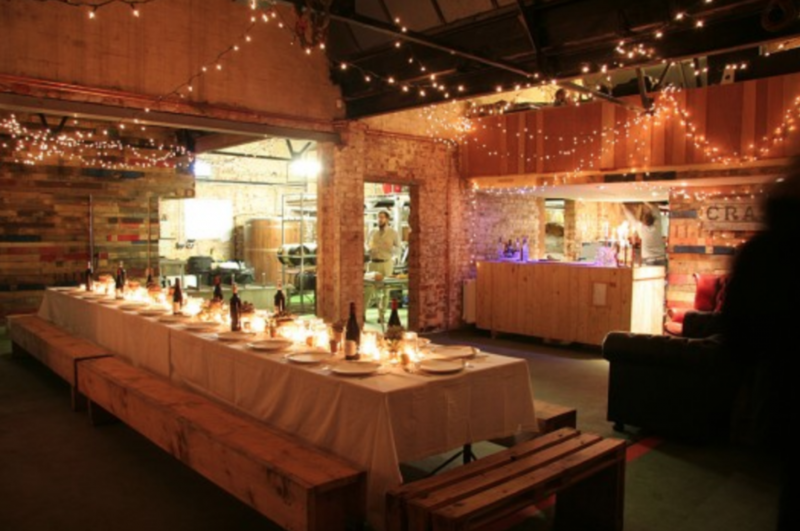 Guests are surrounded by raw brickwork, ageing wooden panels, shiny brew tanks, and all the ingredients used to make the entire CRATE range of beers. 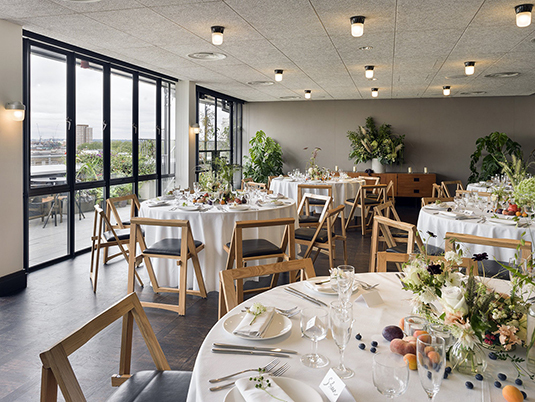 The venue has a fully operational commercial kitchen, onsite toilet facilities, and a capacity of 100 seated or 150 standing guests. And for all you beer lovers you can enjoy freshly brewed beer that has literally never left the brewery. 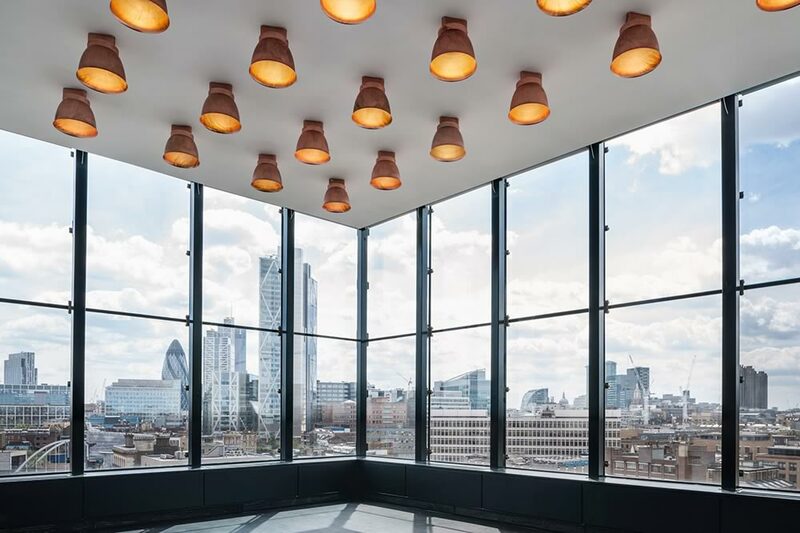 Concrete is a versatile underground space, situated on the lower level of the Tea Building in the heart of vibrant Shoreditch. 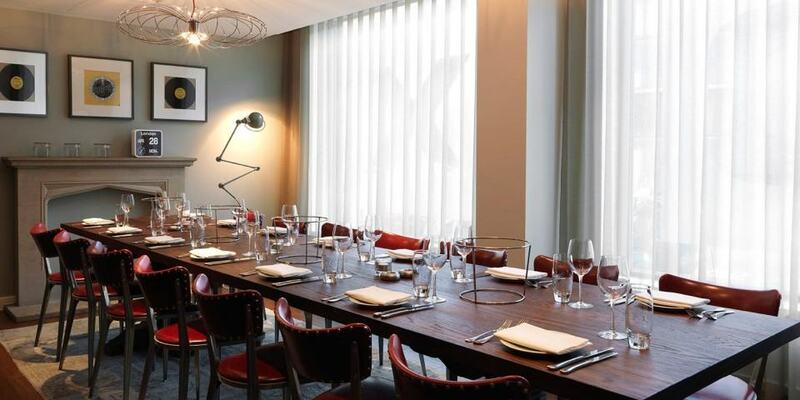 The interior is simple and raw, inspired by its industrial surroundings. 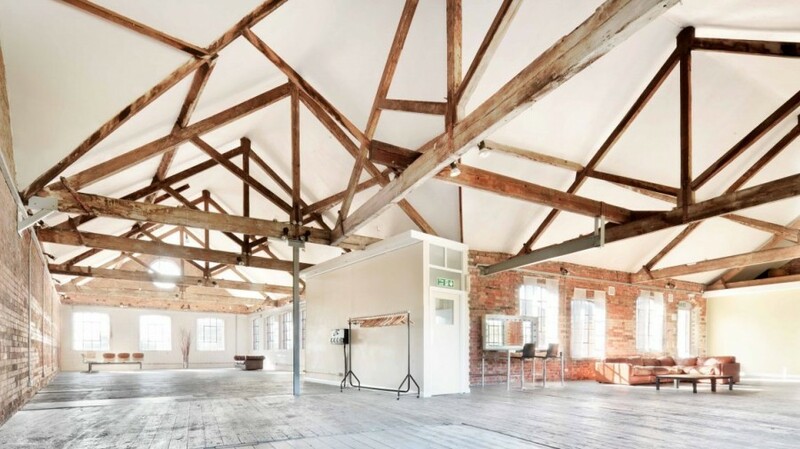 A perfect spot for visionaries and creatives who are looking for a blank canvas space to bring to life in a unique and exciting way. 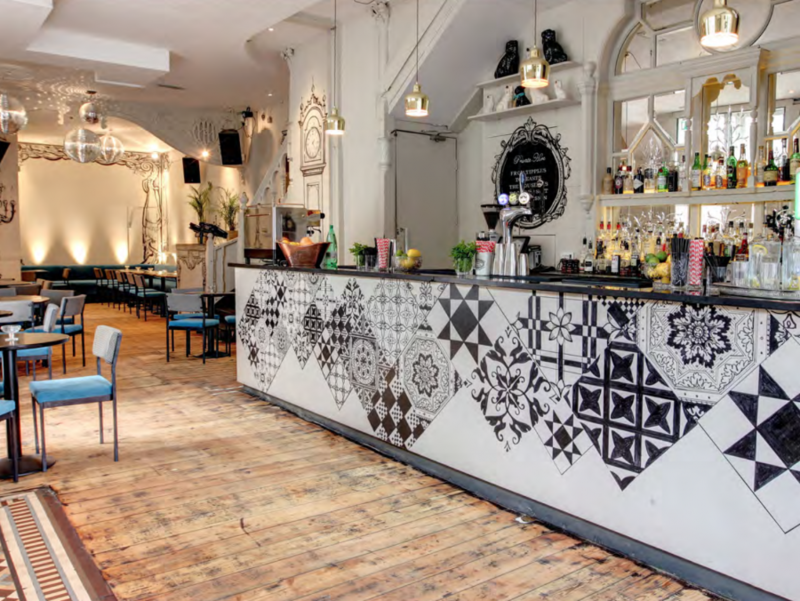 Concrete is available to hire from Sunday to Thursday, for seated parties of up to 100 guests, or larger events with up to 275 standing. Food is available from the Pizza East kitchen and has a full Martin Audio PA system and DJ booth at your disposal. 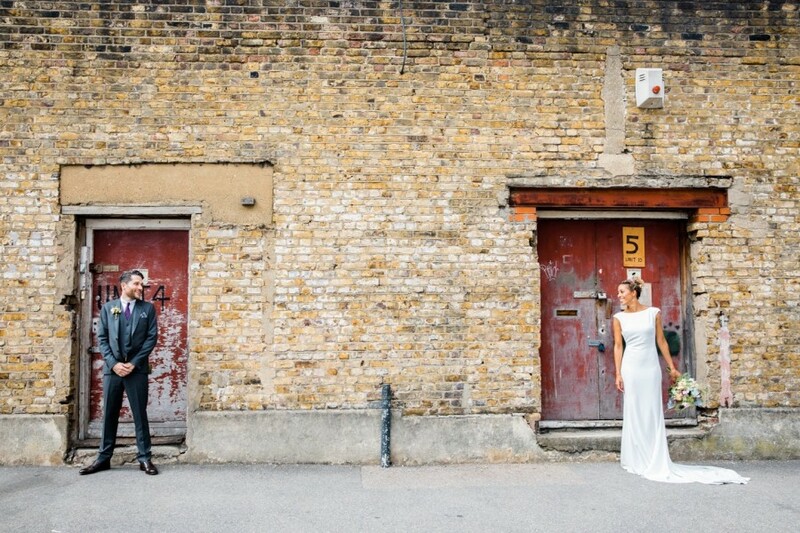 The Clapton Country Club is an authentic urban, yet glamorous venue that was built from reclaimed and recycled materials. 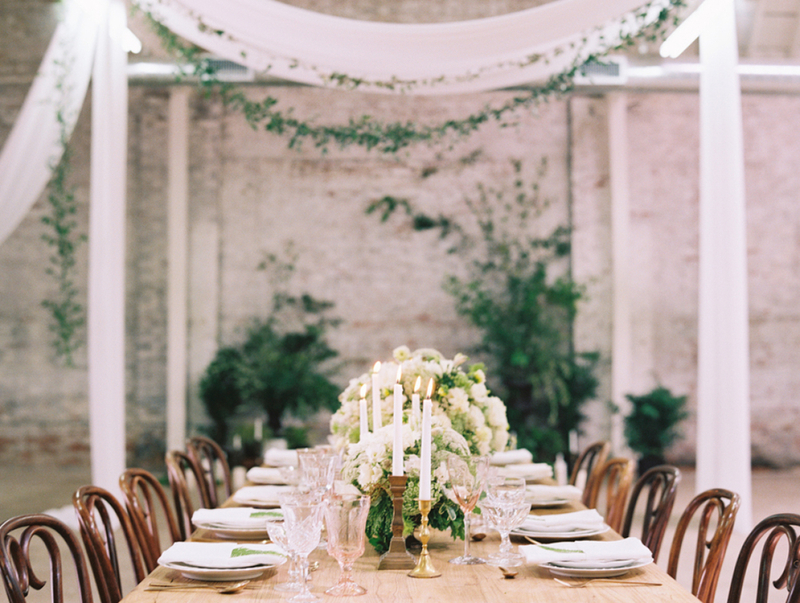 The unique interiors of this space create an industrial retreat that oozes romantic ambience. 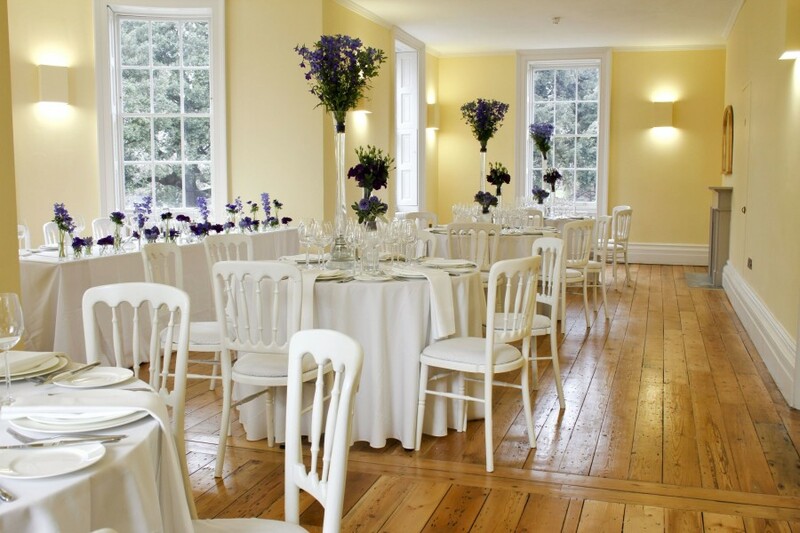 With a seated capacity of 120 and a maximum of 160 standing, they can offer a simple ‘dry hire’ package that still includes furniture and furnishings or fully-inclusive, catered packages that can be adapted to your requirements. 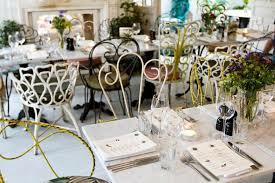 The kitchen creates great food with a strong ethos on organic, biodynamic and sustainability. 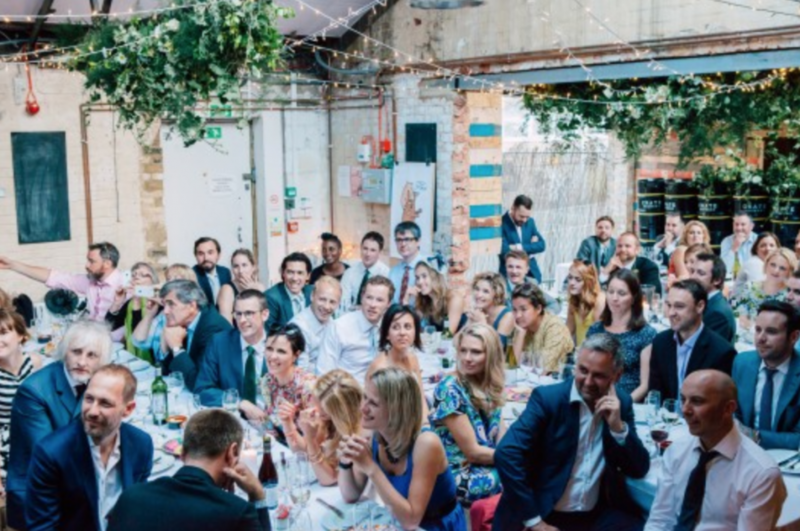 So there we have it, quite a diverse bunch of venue spaces but with the variety that our capital has to offer, there should be something in there for everyone, no matter your style, budget and requirements. 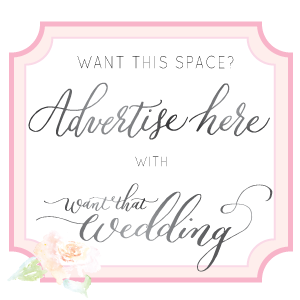 If you are struggling to find your dream wedding venue, please get in touch and let’s have a chat. 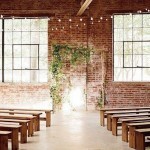 I can offer venue search as a standalone service or as part of more comprehensive wedding planning and design packages.